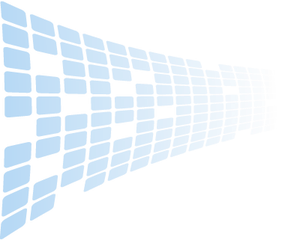 IEF is well established as an exellent technique for the analysis of proteins, such as enzymes, hormones or other biologically active proteins. A pH gradient is formed in a supporting medium by subjecting SinuLyte™ carrier ampholyte to an electric field. When a protein is placed within the pH-gradient, it migrates under the influence of the current to its specific isoelectric point (pI), stays at this position and can be visualized as a characteristic banding pattern. Isoelectric focusing (IEF) differs from many other electrophoresis techniques in that the protein is actively concentrated, or focused, at its isoelectric point: it is possible to resolve two proteins with a difference in pI of only 0.01 pH units. 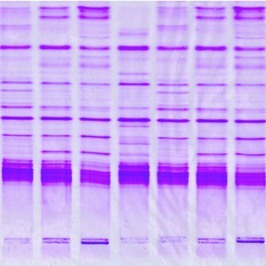 Electrophoretic techniques have for a long time constituted the main tools for the characterization of complex protein mixtures and for testing purity. Since electrophoresis was introduced by Tiselius in 1937, much effort has been devoted to the refinement of its resolving properties. This has resulted in the development of a whole family of electrophoretic techniques. Electrofocusing differs from conventional electrophoresis in that the pH is not kept constant throughout the whole system. lnstead, the sample components migrate electrophoretically in a stationary pH gradient. Thus, a steady state will eventually be reached at which all the sample components are concentrated or focused as sharp bands at their respective isoelectric points (pl). Optimal resolution in conventional electrophoresis requires that the sample is applied as a very narrow zone. ln electrofocusing, however, sample application is not as critical, because of the concentrating property. A second advantage of the concentrating effect of electrofocusing is that the detection limit is much lower than in conventional electrophoresis, and proteins differing in isoelectric points by only a few hundreths of a pH unit can be resolved. All electrophoretic separations of proteins make use of the fact that each protein has a net charge that varies with the pH of its environment. This net charge represents the sum of positive and negative charges on the surface of a protein. When passing from a very low pH to a very high pH, the net charge changes in a continuous manner from plus to minus. At a certain well defined pH, the net charge equals zero. This point is called the isoelectric point. As mentioned above, electrofocusing utilizes a stationary and stable pH gradient oriented so that the pH increases towards the cathode. lf a protein is introduced into such a gradient at a pH lower than its own pl, it will obtain a positive net charge and under the influence of the electric field, will move towards the cathode. On approaching its pl, the net charge will gradually decrease and finally, when it reaches the pl position, the net charge will equal zero and migration will cease. lf the protein is placed at a pH higher than its pl, the net charge will be negative and the protein will move towards the anode. ln the same manner as above it will be trapped at the pl position. Thus, irrespective of where a protein sample is introduced into the pH gradient, each protein will end up as a narrow zone at a position corresponding to its pl. lf a focused protein tries to escape from the pl position, e.g. by diffusion, it will obtain a net charge that forces it back to its pl. All this needs a stable stationary pH gradient. Such a gradient is brought about by using a mixture of specially designed amphoteric substances, so-called carrier ampholytes. Like proteins, these substances possess net charges that vary with pH and have different pls. From a general point of view it is desirable to keep the experimental time as short as possible. ln all electrophoretic techniques the experimental time depends on the applied voltage. Evolution of heat is invariably connected to electrophoretic techniques and the higher the power used the more heatwill be produced. ln reality it is the capacity of the cooling system that limits the applicable power and thus the highest voltage and consequently the minimum experimental time. The formation of the pH gradient is accompanied by a pronounced drop in conductivity. A power supply that can provide only constant current or constant voltage is unable to maintain an optimal voltage under such circumstances. However, if power is kept constant and matches the cooling capacity, the voltage will be as high as possible at any given conductivity. This in turn will keep the experimental time as short as possible. Another factor that affects the experimentaltime is the pH range employed. A wide pH range will produce a steep pH gradient that will keep the proteins highly charged even in the close vicinity of their respective pls, whereas the shallow gradient resulting from a narrow pH-range induces a low net charge of the proteins rather distant from their pls. From the experimental time point of view this means that the narrower the pH range used, the longer the time needed for electrofocusing experiments. Of course, the focusing time will vary between individual proteins depending on their respective pH/mobility curves. For most proteins, however, 1.5 hours is satisfactory when employing the wide pH range of 3.5-9.5. SinuLyte™ carrier ampholyte is the trade name of a 40% v/v mixture of such carrier ampholytes with pl values tightly arranged over a specified pH range and is normally used at a concentation of 2%, which allows them to dictate the pH gradient. lf such a mixture is subjected to an electrical field, the carrier ampholytes will automatically arrange themselves in the order of their pls so that those with the lowest pls will end up at the anode and those with the highest pls will be found at the cathode. When the pH gradient is fully established, the net charges of all the carrier ampholytes will be zero and the gradient becomes stationary. As with focused proteins, diffusion of carrier ampholytes is counteracted by the electrical field. This, together with the buffering properties of carrier ampholytes, results in a stable pH gradient suitable for isoelectric focusing experiments.